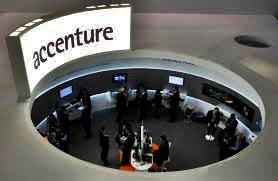 Accenture Plc, global management consulting and professional services company, create 15,000 "highly skilled" new jobs in the United States, as IT services firms brace for a more protectionist U.S. technology visa program under President Donald Trump. The company, which is domiciled in Dublin, Ireland, said the new jobs would increase the company's U.S. workforce by 30 percent to more than 65,000 by the end of 2020. India's software services industry is also concerned about a bill introduced in the U.S. Congress seeking to double the salary paid to H-1B visa holders which would dramatically increase the costs for the companies employing them.